Around 250 patients with serious lung conditions are benefiting from hospital-style treatment in their own homes as part of a project to reduce unnecessary admissions. 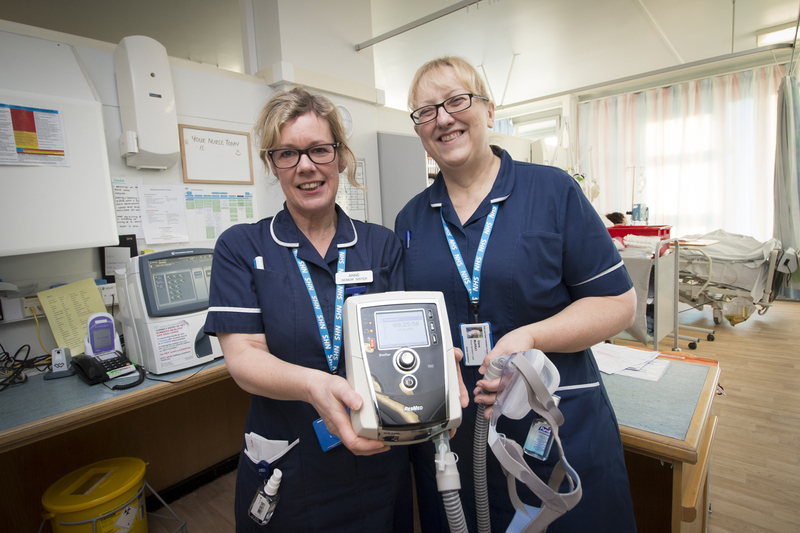 Hull University Teaching Hospitals NHS Trust has introduced non-invasive ventilation to help patients from Hull and East Yorkshire, North Yorkshire and Northern Lincolnshire stay out of hospital. 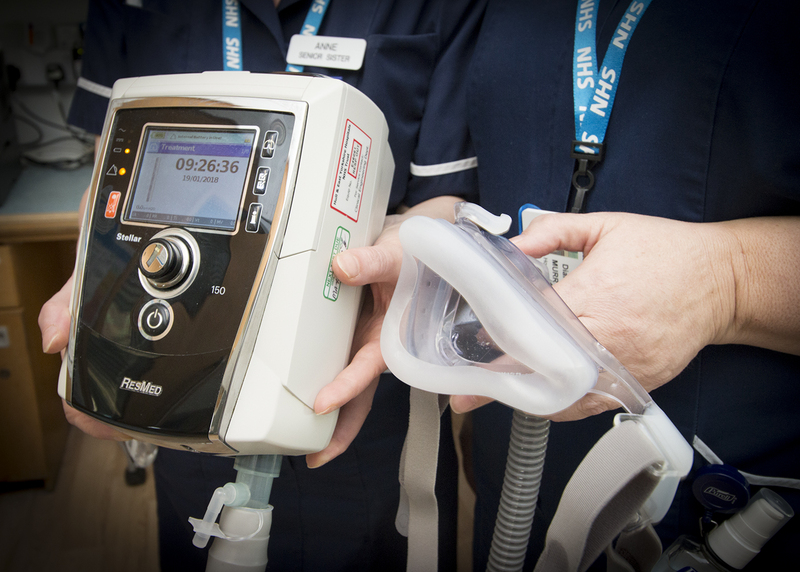 Non-invasive ventilation has been shown to benefit patients with conditions including COPD, motor neurone disease and muscular dystrophy. Diane Murray, home ventilation service lead at the trust, said: “Non-invasive ventilation can keep patients out of hospital, improve their quality of life and extend the length of their life. “Using ventilators at home can prevent them going into acute respiratory failure where they have to come into hospital, can prevent chest infections and reduce and relieve symptoms. David Whiting, 64, suffers from chronic obstructive pulmonary disease (COPD) and has been admitted regularly to the respiratory support unit on Ward Five at Hull Royal Infirmary in the past. However, he has not been admitted to hospital in almost three months despite a rise in respiratory illnesses this winter after he was given non-invasive ventilation to use at home. Mr Whiting, who lives in East Yorkshire with wife Susan, said: “The cold weather, that’s when it gets me and I’m frightened even to go outside. I always get something like pneumonia or a bad chest infection and then I have to go into hospital. “But I haven’t been in hospital since November so it looks to me like this unit is working. Patients referred to the trust’s respiratory service by GPs are assessed by the multi-disciplinary respiratory team to see if they are suitable for home ventilation. Those rushed to hospital with respiratory failure are also assessed by a consultant to see if they might be suitable for home ventilation once they are discharged. Diane Murray and the other members of her team, specialist nurses Sarah Lyons and Halina Voss-Palmer, then visit people considered suitable for the therapy home to show them how to use the equipment, enabling them to administer the treatment themselves. Mr Whiting was given the home ventilation system to use for six hours a day in the hope that it will prevent him developing a chest infection and requiring a hospital admission. He said: “It’s early days but we feel that this is something definitely worth trying. Anne Littlefield, sister on Ward Five at Hull Royal Infirmary, said the home ventilation programme mirrored the treatment patients received on her ward but in the comfort of their own home. She said: “We work closely with the home ventilation team to find patients who could be referred to the consultant to see if they could benefit from home ventilation.